It's easy to access while I'm cooking so it's the perfect spot for my cheat sheet. I couldn't find a chart that had all the details I wanted to include so I made my own! 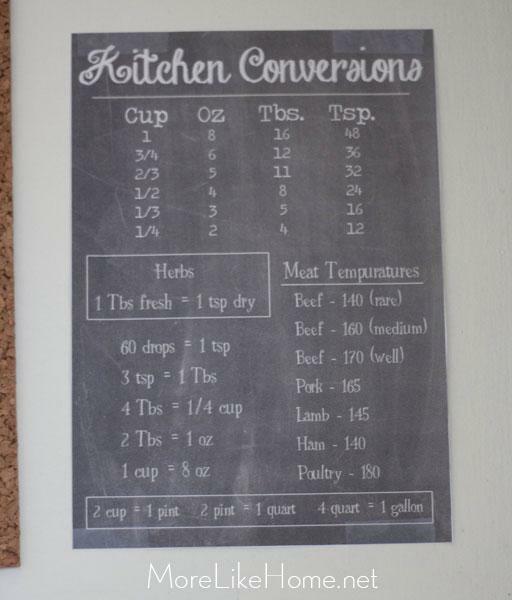 All the measurements and hints I need in one handy chalkboard-style printable. Click through to download and print!